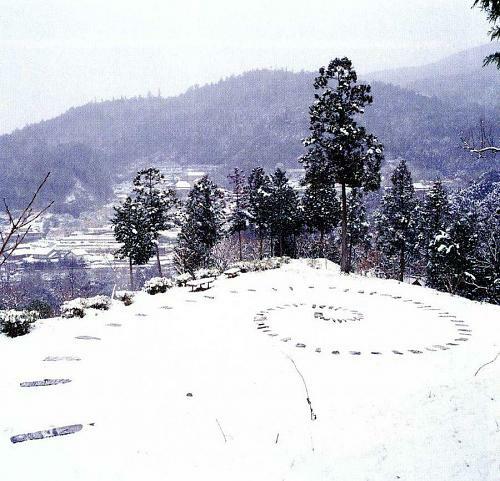 On the high grassland overlooking the village, she spread out a round spiral of stones. A land installation: earth work. 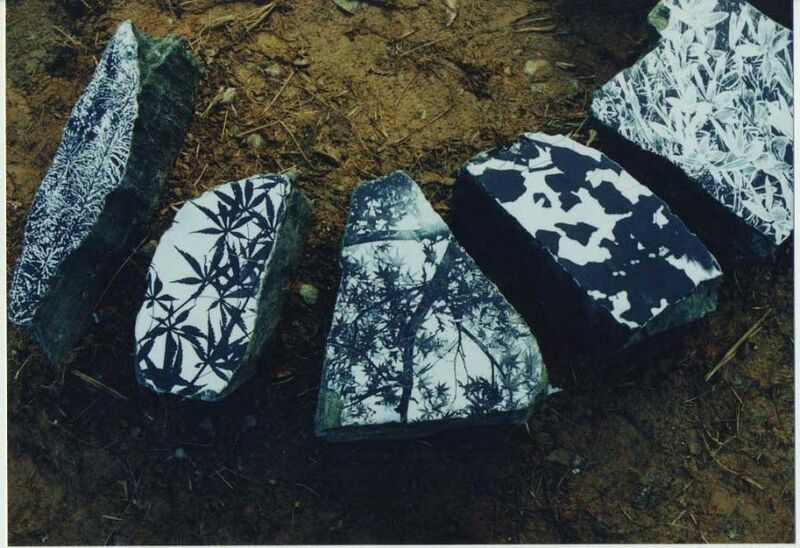 An image of autumn grasses waving in the wind is imprinted on the stone. 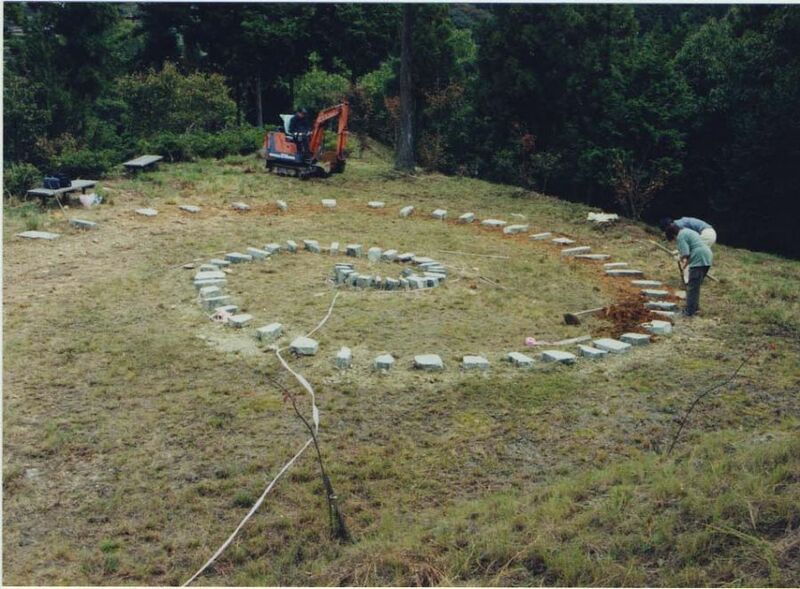 In one hundred years' time, will this be Kamiyama's Stonehenge? No – the grasslands must be tended. Art is not something that is made. It is cultivated, bred, in the palm of a hand. Heavy stone and light wind, constant give-and-take that goes beyond space and time. The gods of the mountains run amok over the land, filling the stage with the music and dancing of nature.